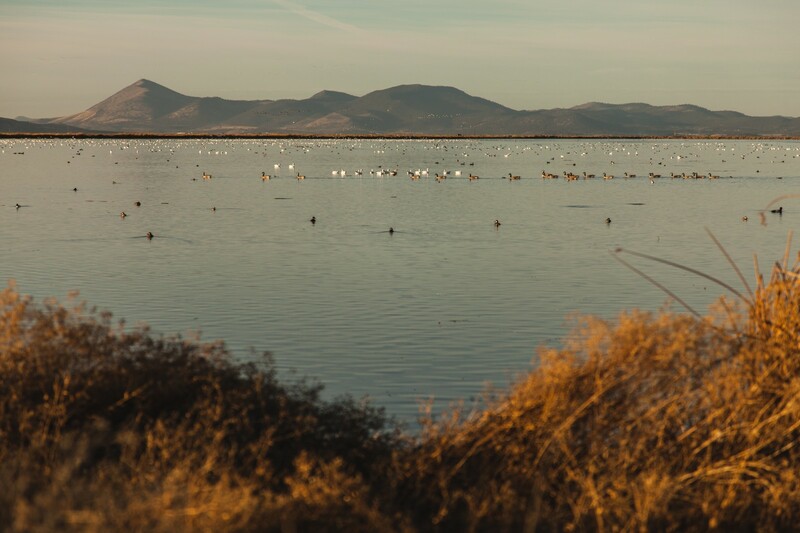 Background image of Six refuges in the Klamath Basin, on both sides of the Oregon-California border — Tule Lake, Clear Lake, Upper Klamath, Bear Valley, and Klamath Marsh — collectively make up one of the largest waterfowl refuges in the world. A madcap farmer sets his sights on finding common ground in the drought-stricken and contentious Klamath Basin. On an incredibly bright day in early October, the world headquarters of Noonan Farms, ten miles south of downtown Klamath Falls, looks piebald in the blinding sunshine, a mash-up of futuristic and forgotten technologies. A limousine-black solar array gleams beside a potato-packing shed. In a lot across the street, there are old-fashioned tractors next to Cat tractors, semi cabs without their trailers, a gravel truck, piles of bald tires, huge empty drums once filled with antifreeze, a diesel fuel refilling station, and a passenger school bus that has the words “Wrestling Transport LLC” and “Oregon Champs” printed along the side. 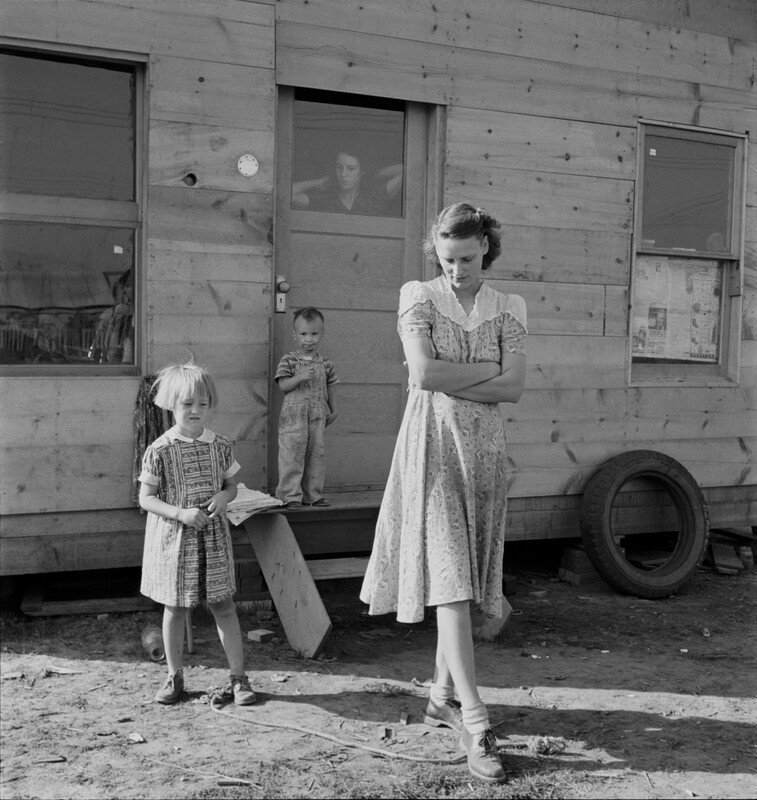 In the midst of this lot is a corrugated metal warehouse with a repair shop on the first floor and wrestling mat club on the second; a studio-size prefab office; and behind a few trees, Mike Noonan’s home. For the past few weeks, Noonan was planning to dig a trench with his number-one collaborator, his cousin Mike Reynolds (known by all as Reynolds), to roast a whole hog overnight for the Henley High School homecoming game. Noonan’s son Connor is a tiny, fast-as-lightning running back, and Noonan is on the school board. But the plans were too ambitious during hay-baling season, so instead of staying up all night roasting a whole hog, a few days before the game, they decided to grill tri-tip steaks on the mobile grill that one of his employee’s sons had welded in school. On the day of the game, however, even that proved too much, and Noonan coaxed his marketing manager, Ron Bresser, to take charge of the whole meal. Bresser made enormous vats of chicken alfredo with garlic bread, and he and Noonan watched the growing footballers scarf down the meal. At the game — Henley Hornets versus Hidden Valley Mustangs — tiny Connor was a star, slithering between bigger players for field-length runs, and Henley squeaked past Hidden Valley for a victory. Mike Noonan was among the early adopters of the walking wetlands system. He brought the rotation program onto his private lands. This process — of dreaming a big dream, getting a team on board, morphing your ideas, and then eventually finding someone to make it happen — is a Noonan specialty. “I like doing new things and turning it over to people who can do it better than me,” he says. A stocky man in his mid-forties, he has a boyish, close-shaven face, thin wire-frame glasses, slightly gapped teeth, and close-cropped hair. 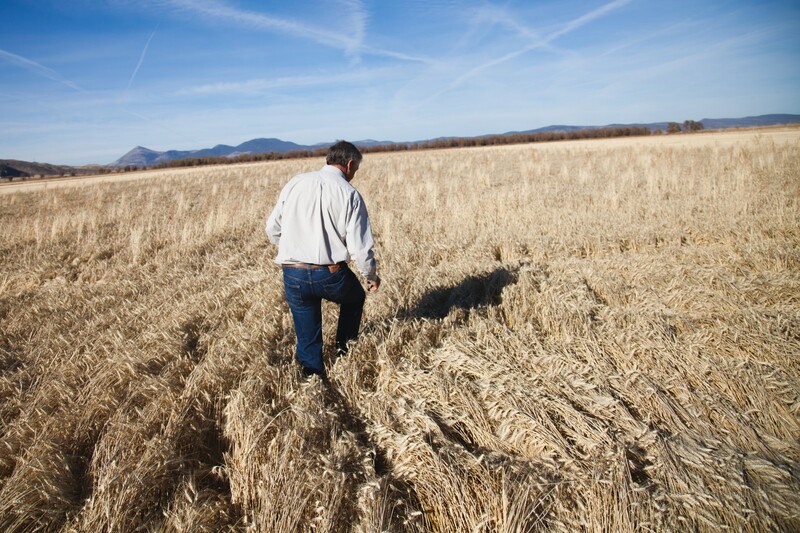 Today, Noonan and his brother Matt farm 12,000 acres in the Klamath Basin — an area roughly the same size as the 21,000-person city of Klamath Falls — planted to organic potatoes, barley, wheat, and alfalfa. If you’ve eaten at a Whole Foods Market deli counter or poured yourself a bowl of Nature’s Path breakfast cereal, there’s a good chance that you’ve eaten some of his produce. Noonan has grown from a pipsqueak who barely made a living baling hay for farmers throughout the basin to one of the largest operations in Oregon’s eighth-largest agricultural county, which is a top hay and potato producer. He is a madcap dreamer who perpetually skirts the edge of financial solvency. He’s also an infectious enthusiast who has amassed a team of dedicated workers to actualize his plans. The backdrop for Noonan’s steep climb to farming giant is the Klamath Basin, one of the most contentious battlegrounds for water rights in the country. For the past half-century, competing groups have been thirsting for the limited water supply from Upper Klamath Lake, which feeds the Klamath River and a network of canals and aqueducts built by the U.S. government between 1906 and 1912 to supply irrigation water to the valleys below. 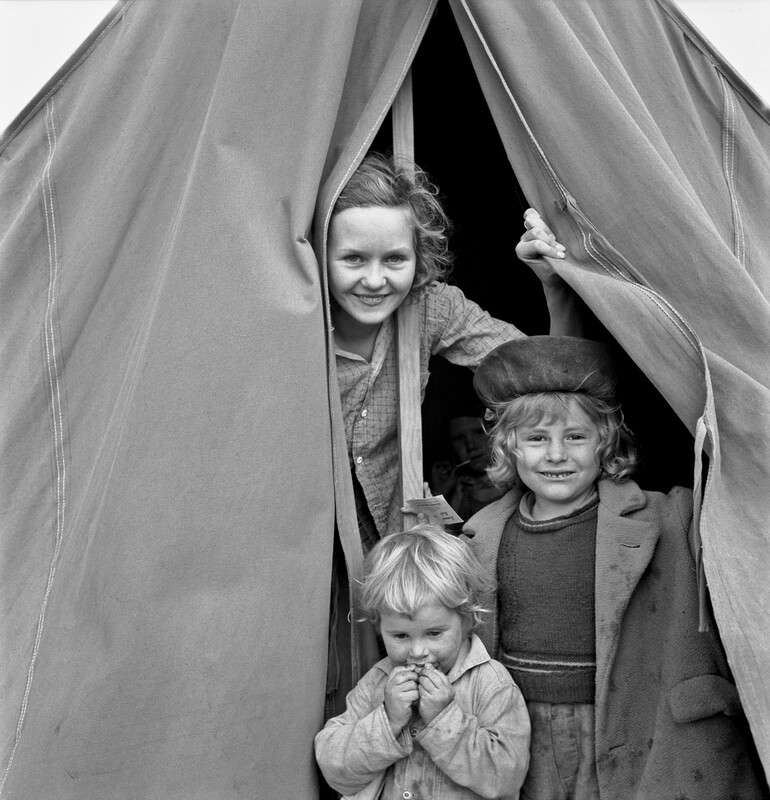 The group first in line for most of the 20th century is farm families, numbering around 1,400, many of whom descended from WWI and WWII veterans who were promised land and water by the U.S. government if they would relocate to the Klamath Basin. In contention for that same water are the Klamath Tribes, who have sought year-round flow in the Klamath River to restore Coho salmon populations. In 1906, the U.S Bureau of Reclamation began the Klamath Basin Reclamation Project, creating an elaborate plumbing system of canals (seen here), aqueducts, pumps, and diversion dams for channeling water to the farmland it was establishing on 225,000 acres of rangelands and wetlands. This canal in the Klamath Basin carries water from Lower Klamath Lake and the Klamath River to the Tule Lake Refuge. Above ground concrete and metal channels, based on the ancient Roman aqueduct, are part of the Klamath Basin Reclamation Project system to move water. Many of the canals and aqueducts, pictured here, depend on gravity to move water from Upper Klamath Lake to the farmland to the south. There are over 717 miles of canals, laterals, and diversion channels throughout the Klamath Basin Reclamation Project. A heron rests in a Klamath canal. Once water reaches farm fields via canal, aqueduct, and sometimes pumps, farmers depend on expensive irrigation systems to water their fields. Irrigation sprinklers distribute the precious Klamath Basin water on farm fields. Klamath water fights played out on the national news in 2001, when farmers were cut off from water for the sake of fish survival, and again in 2002, when irrigation diversions caused a massive salmon die-off. 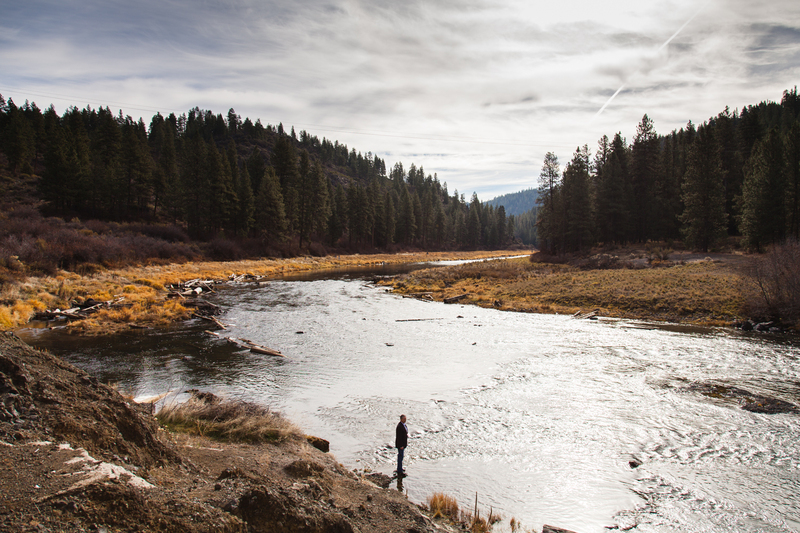 On March 7, 2013, a landmark court order gave first priority on water rights to the Klamath Tribes. But the region remains oversubscribed for water. In many ways, the Klamath Basin is the testing ground for how agricultural communities with limited water resources will contend with climate change and increased demands on water in the years ahead. Noonan has brought his no-holds-barred risk-taking to the endeavor, looking to build unusual alliances and shake up the farming community’s traditional isolation. He doesn’t see the challenges in the Klamath Basin as a Gordian knot, like so many other people, but as a field of opportunity. “These things are complex, but that’s how my mind works,” says Noonan. He has been reimagining what farming in this political and ecological landscape could look like, using water and land in a new way that may offer the troubled basin a way out of its mess. That is, if he can follow through with his plans. Where do the walking wetlands lead? October is a little early for the bird migration at the Lower Klamath Refuge — a roughly 47,000-acre tract of land that straddles Oregon and California and is set aside for birds traveling the Pacific Flyway. But sandhill cranes are resting among sparse patches of water and blonde barley fields that run checkerboard all the way to Mt. Shasta. In the walking wetlands system, fields of small grains and shallow-flooded wetlands sit side-by-side. Farmers are required to leave one-quarter of their yield for the birds. 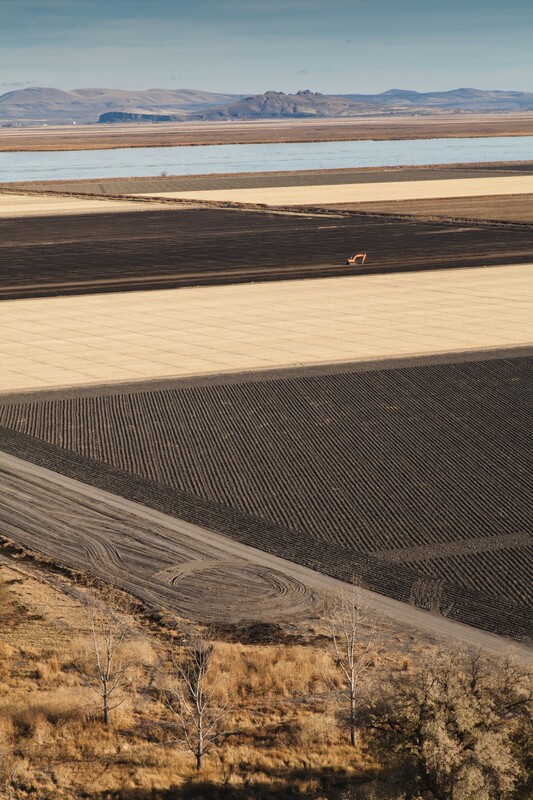 The Lower Klamath Refuge and these potato fields are part of a long-term experiment in using organic agriculture to expand and improve critical bird habitat. The Lower Klamath is one of six wildlife refuges in southern Oregon and northern California — including Tule Lake, Clear Lake, Upper Klamath, Bear Valley, and Klamath Marsh — that sit along the Pacific Flyway and collectively make up one of the largest waterfowl refuges in the world. The Klamath Basin Refuge Complex has been described as the waistband of the Pacific Flyway hourglass, where an estimated 80 percent of the flyway’s migrating birds siphon through on both spring and fall migrations. 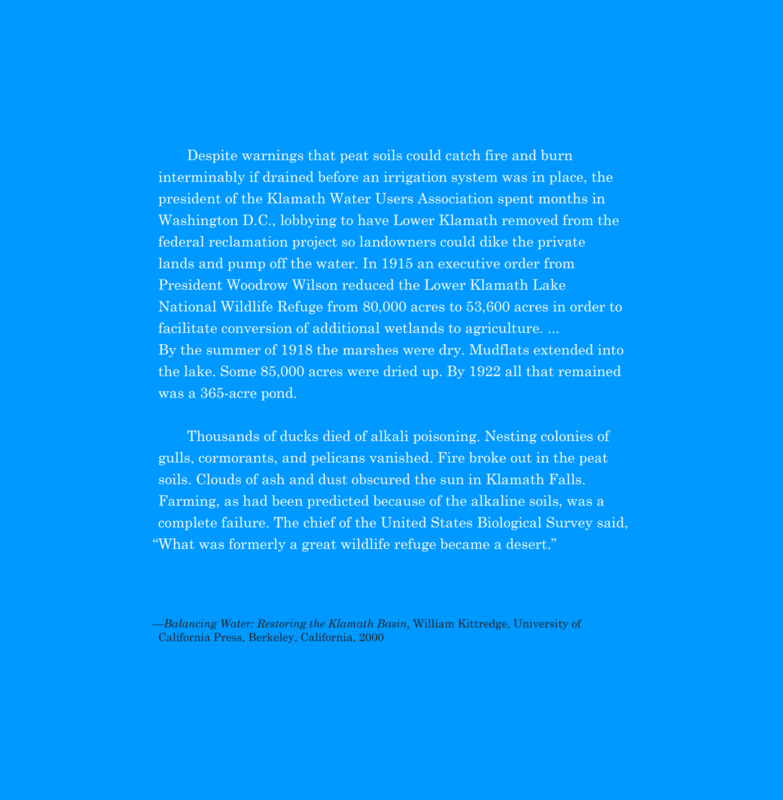 Historically, Lower Klamath Lake — the lowest point in the basin — attracted the highest density of birds. This shallow marsh would naturally flood every year, making it ideal for birds to rest, feed, nest, and brood. 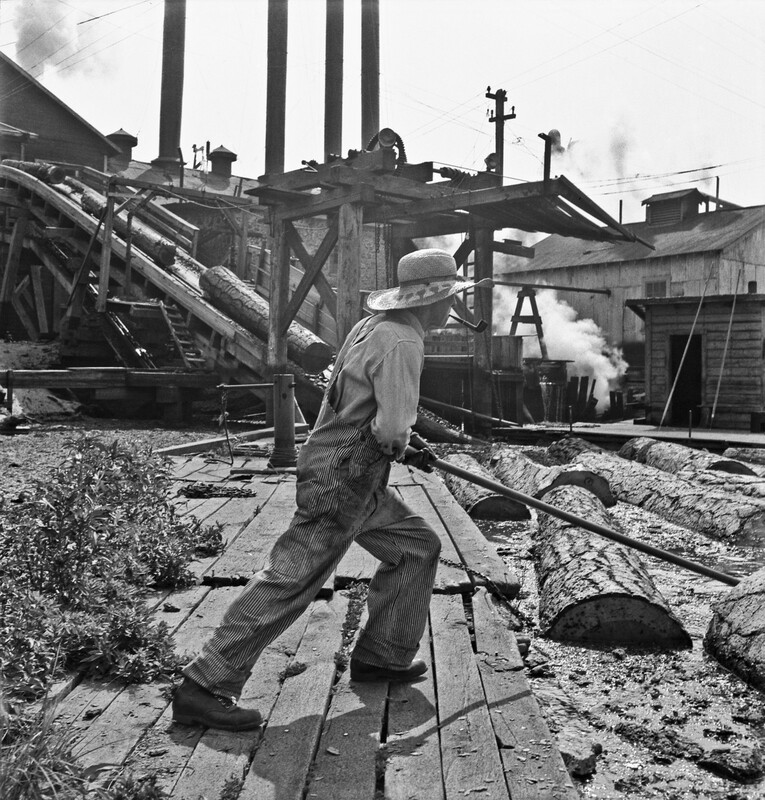 Beginning in 1906, the Klamath Basin Reclamation Project created an elaborate plumbing system for channeling water to the farmland it was establishing on rangelands and wetlands. Some 80,000 acres of Lower Klamath Lake were drained, resulting in lost habitat. The saving grace for this bird hot spot was President Theodore Roosevelt, who set aside a portion to create the Lower Klamath Refuge as the first waterfowl refuge in the world in 1908. Today, the U.S. Fish and Wildlife Service, which operates the Lower Klamath Refuge, faces challenges in maintaining a healthy ecosystem for birds in a managed basin where the pattern of natural flood plains has been altered, and human influences from agriculture are legion. Impressed by stories of bird abundance, in 1908, President Theodore Roosevelt set aside a portion of the land undergoing dramatic change through the Klamath Basin Reclamation Project to create the Lower Klamath Refuge as the first waterfowl refuge in the world. 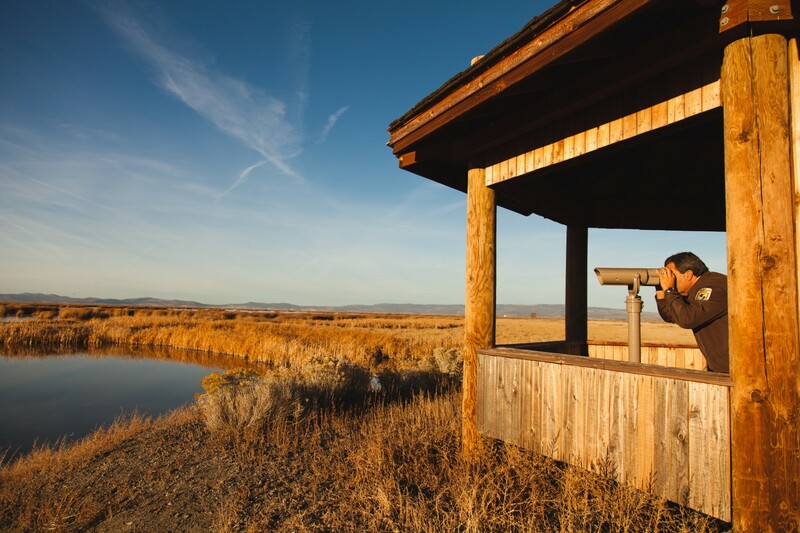 Six refuges in the Klamath Basin, on both sides of the Oregon-California border — Lower Klamath, Tule Lake, Clear Lake, Upper Klamath, Bear Valley, and Klamath Marsh — collectively make up one of the largest waterfowl refuges in the world. Peak waterfowl populations can reach 1.8 million birds. Under the walking wetlands approach, following a wetland cycle of one to four years, a paddock transitions into farmland with anywhere from a one- to five-year lease, while another paddock transitions from farmland back into wetland. Approximately 80 percent of the Pacific Flyway's migrating waterfowl pass through the Klamath Basin on both spring and fall migrations. In the winter, the Lower Klamath National Wildlife Refuge is also home to the largest concentration of bald eagles in the continental United States. Mt. Shasta is always in view from both the Tule Lake and Lower Klamath Lake National Wildlife Refuges. In the early nineties, wetlands managers observed that the ecology on the Tule Lake refuge was in decline, and native plant diversity was down. The refuge, working with the Bureau of Reclamation, wanted to try something innovative that might resurrect native species and support more birds, so they took a chance: they flooded a field that sits on historic marshland, but had been farmed continuously for decades. (Tule Lake is unique among National Wildlife Refuges because commercial agriculture is one of the legislated purposes of the refuge.) Across three years of managing the water levels in this field, a vibrant marsh grew back. They tried the same tactic on the Lower Klamath Refuge and offered the land for lease to farmers. Almost no one wanted it — except Mike Noonan. Talking to Mike Noonan is like talking to a combination of Ned Flanders of The Simpsons and a mechanical engineer. A devout Catholic, he mixes okily dokily sentiment into a constant patter of upbeat conversation, inviting listeners to feel like part of his plans. A few other farmers were also leasing acreage on the Lower Klamath and Tule Lake refuges under this cooperative approach, which has come to be called the “walking wetlands.” Although most people think walking wetlands sounds like a nice guided tour, it actually describes a crop rotation system in which fields cycle between wetland and farmland. Following a wetland cycle of one to four years, a paddock transitions into farmland with anywhere from a one- to five-year lease, while another paddock transitions from farmland back into wetland, thereby “walking the water” around the refuge and maintaining a steady amount of marsh for birds. Farmers are required to grow small grains organically and leave one-quarter of their yield for the birds. Refuge managers have observed that native species, including tule reeds, return after a farm cycle when the land enters the wetland stage, which improves the habitat for birds. Shallow flooding in the wetland stage then becomes a tool in the organic system by suppressing weeds, pests, and diseases. Waterfowl guano also boosts the nitrogen levels in the soil. During a thirty-one-year career with the U.S. Fish and Wildlife Service, Ron Cole helped pioneer the walking wetlands. The Klamath Basin Refuge Complex provides habitat for twenty-five species of special concern listed as threatened or sensitive by California and Oregon. Depending on whether there is adequate supply, the wetlands cycle also acts to store water for fish. Water is pumped from nearby Tule Lake into the refuge and then pumped back into the Klamath River. Holding the water in the wetlands around the refuge allows refuge managers to augment low flow periods as well as recharge groundwater, and filter and purify the water that will return to the river. More than a decade ago, Noonan began trying seasonal flooding on his own lands. Periodic flooding naturally suits potato production by destroying the microscopic, worm-like nematodes that attack potatoes. The wetland ecosystem is doing what pesticides never could. He wrote a grant through the Natural Resources Conservation Service and worked with the Oregon State Water Resource Manager to lease refuge land in exchange for putting seasonal wetlands on equal acreage of his private land. This effectively extends the size of the refuge for migrating birds by using agricultural water to benefit wildlife. It’s since become a program that twenty-five other farmers in the basin have participated in. Noonan Farms uses the Spudnik to harvest their fields of russet and red potatoes. Potato rows are spaced to accommodate the Spudnik potato harvester, which blows dirt and vines off of the tubers as they’re pulled from the ground. Mike Noonan’s cousin Mike Reynolds repairs the Spudnik potato harvester. A twenty-three-year veteran mechanic for farm equipment lion Allis-Chalmers, Reynolds is the default repairman for Noonan Farms’ machinery. After chopping down the vines, Noonan Farms leaves the potatoes for two to three weeks underground so that the potatoes’ skins will thicken before hauling them to storage sheds. Potatoes thrive under the walking wetlands system. Seasonal flooding has been more effective than pesticides at beating back potato pathogens. Noonan Farms stores potatoes in three massive cold storage potato sheds. Potato packing sheds keep the spuds at around 38 degrees. The moisture and oxygen are critical to maintain a high quality product. “Potatoes are a living, breathing thing,” says farm repairman and potato operations manager Mike Reynolds. In 2013, Noonan Farms grew four varieties of russets — Alturas, Classic, Russet Burbank, and Gemstar — and one variety of red potatoes. In the fall, Klamath County fields and roads are filled with trucks, including Noonan's, pulling harvesting machinery and hauling what amounted to 235 million pounds of potatoes in 2012. 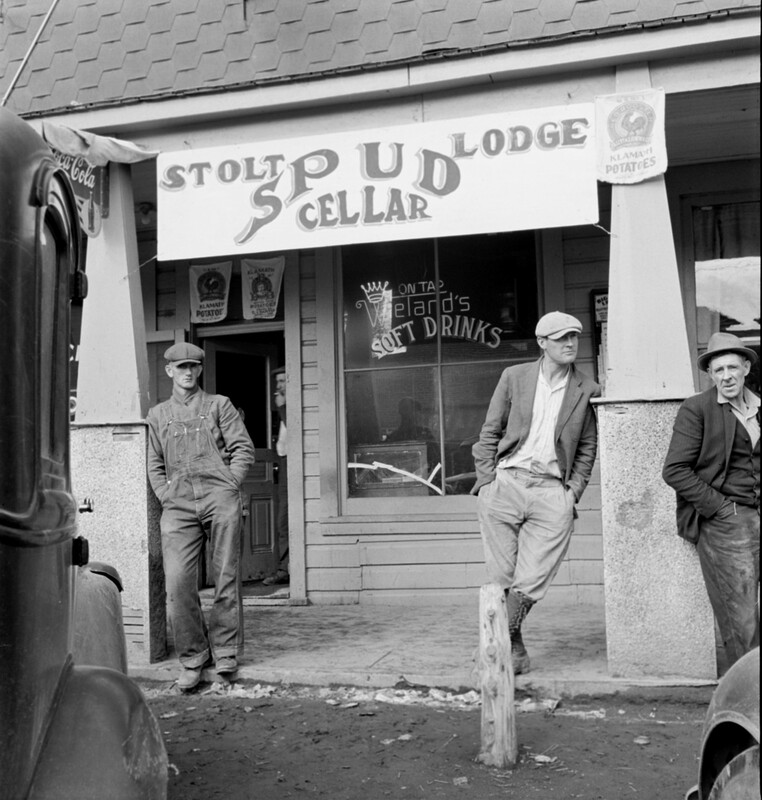 Klamath County is Oregon's third largest potato producing county. 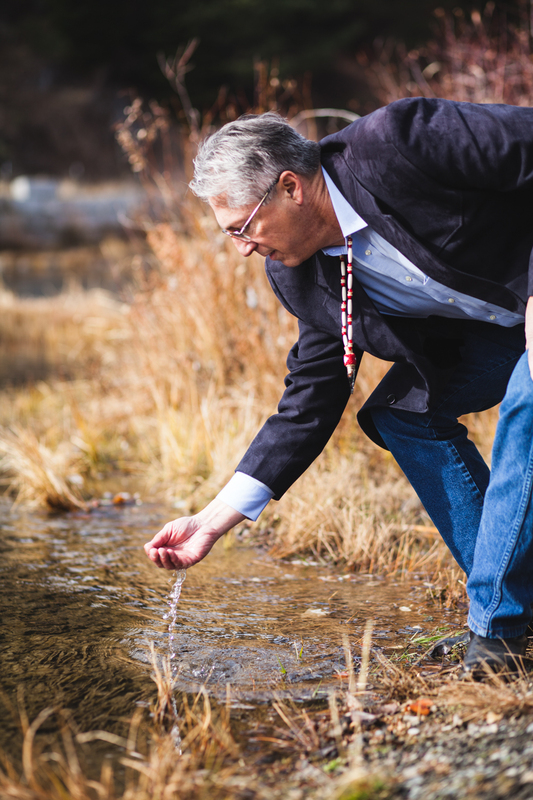 A partnership that began as the refuge’s response to poor habitat has evolved to address their dismal water access during dry summers, when both farmers and tribes have senior rights. In the past, when the refuge has gone without water, birds have crowded on the limited water pools or sought refuge elsewhere, resulting in sickness and die-offs. 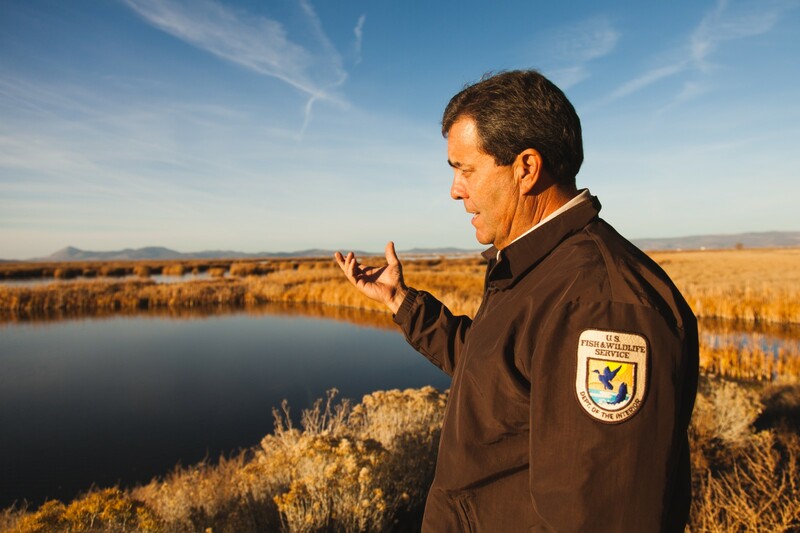 Michael Connor, commissioner for the Bureau of Reclamation, estimates that the refuge receives enough water to support the full bird migration in only one out of ten years. Working closely with the U.S. Fish and Wildlife Service, farmer Rob Crawford is converting conventional fields to organic, employing the walking wetlands system on his private lands. 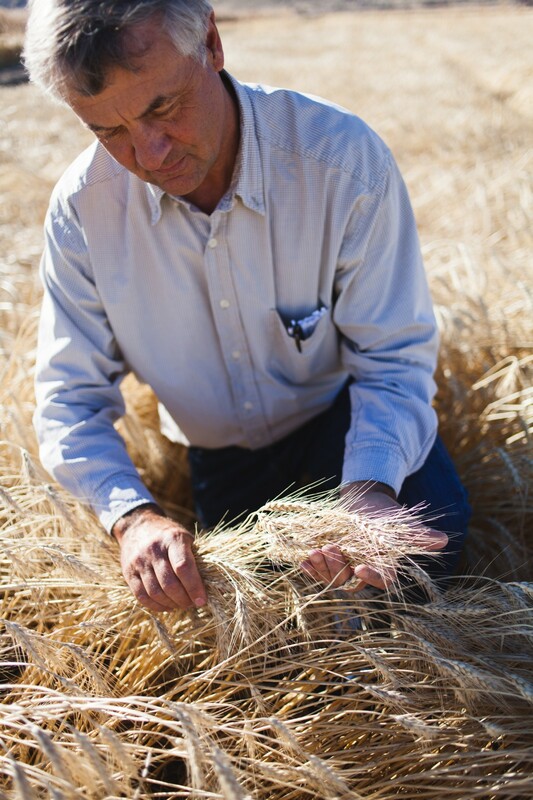 Here he holds a handful of barley, one of the small grains that provides forage for migrating birds. Crawford is one of twenty-five farmers who have added temporary wetlands on their private lands, effectively extending the size of the refuge for migrating birds. 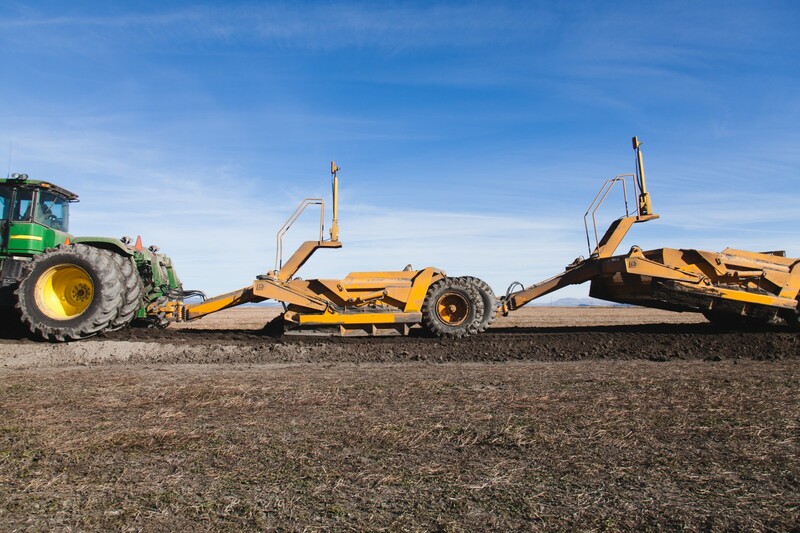 Making a temporary wetland requires building dikes to move and store water. 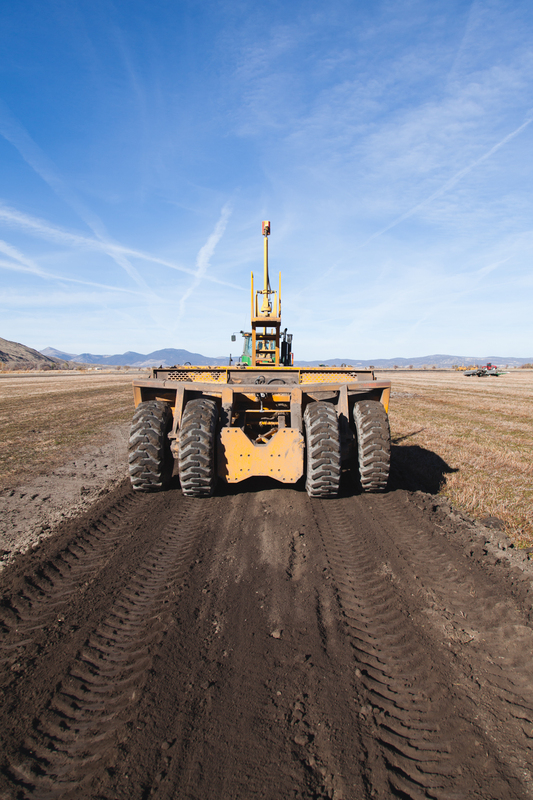 Crawford employs this machinery to build dikes around fields, which sit across from the Tule Lake Refuge. Dike-building machinery is in action on Crawford's fields. Farmers’ most compelling draw is economics. “One of farmers’ most expensive inputs is fumigants,” Cole notes. When no soil fumigation is required, he explains, farmers save $200 to $250 per acre, and they’ve seen yields of some crops increase by 25 percent. One of the outcomes of converting farmland into wetlands for three growing cycles is that the soil can be certified organic. According to Cole, the program has been the genesis for converting 22,000 acres of farmland to organic methods — 15,000 of them on private lands. The idea has also spread. The Nature Conservancy and farmers are experimenting with the walking wetlands in Washington’s Skagit River Valley. Far beyond the Klamath Basin, conflicts between wetlands and agriculture are increasing as climate change advances. Worldwide, endangered plants and animals are dependent on wetlands in which water is often degraded by pesticides and fertilizers. Farmers and land managers are looking at the walking wetlands to provide an alternative — farming with a whole-ecosystem approach that includes wildlife diversity and abundance as a measure of farm health. Noonan owns or leases parcels of land spread throughout the Klamath Basin. This property along Upper Klamath Lake receives its water from a well. Klamath Tribes Chairman Don Gentry has played a critical role in brokering the recent reconciliation between tribes and the agricultural community that has set in motion the potential dismantling of the four hydroelectric dams that hamper salmon passage on the lower Klamath River. 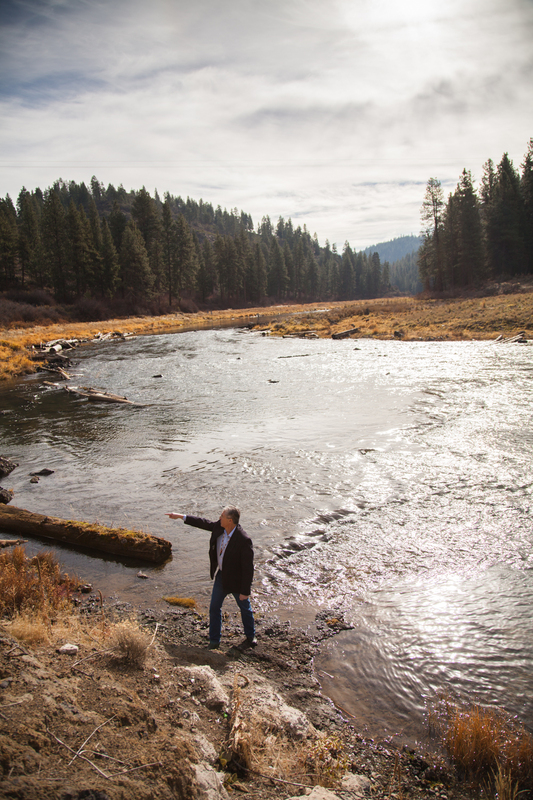 Gentry stands on the banks of the Sprague River, north of Klamath Falls and near the Klamath Tribes' headquarters in Chiloquin. The Chiloquin Dam was removed in 2008, greatly improving fish passage. The historic accord in April 2014 is a tremendous milestone for the Klamath Basin community. However, forward progress on dismantling the hydroelectric dams awaits funding from a reluctant Congress. The new approach from innovative farmers in the Klamath Basin has also been buoyed by recent reconciliation between two historic adversaries — tribes and the agricultural community. A settlement in April 2014 has set in motion the potential dismantling of the four hydroelectric dams that hamper salmon passage on the lower Klamath River. This historic accord still awaits funding from Congress before the dismantling can begin. Meanwhile, despite the successes of the broad agreement in principle, the refuge continues to go without adequate water year upon year. 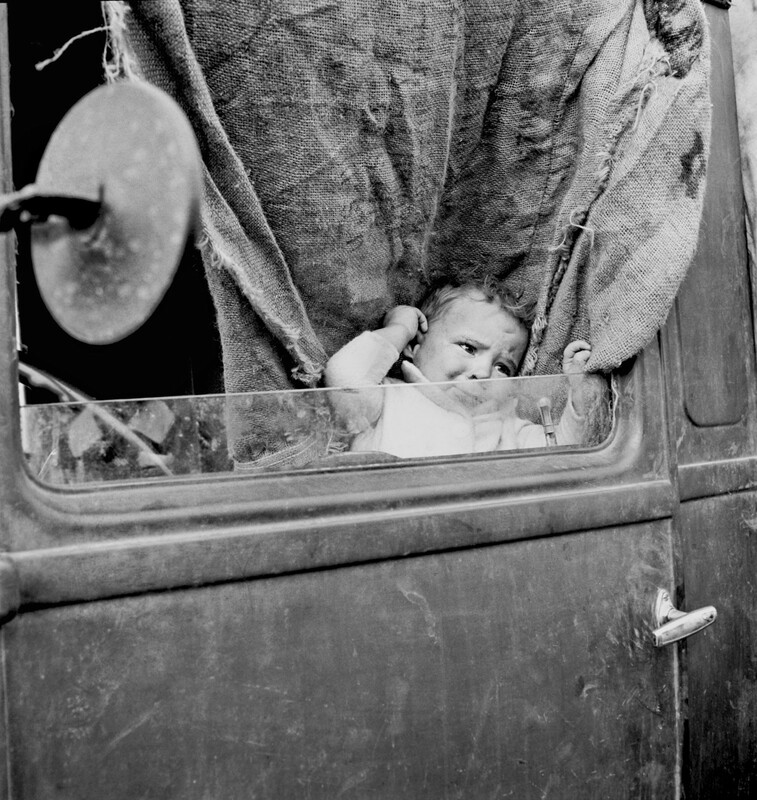 Noonan drives his wife’s white GMC van up an impossibly steep ravine to the top of Sheepy Ridge, which stands between the Lower Klamath lakebed to the west and Tule Lake to the east. 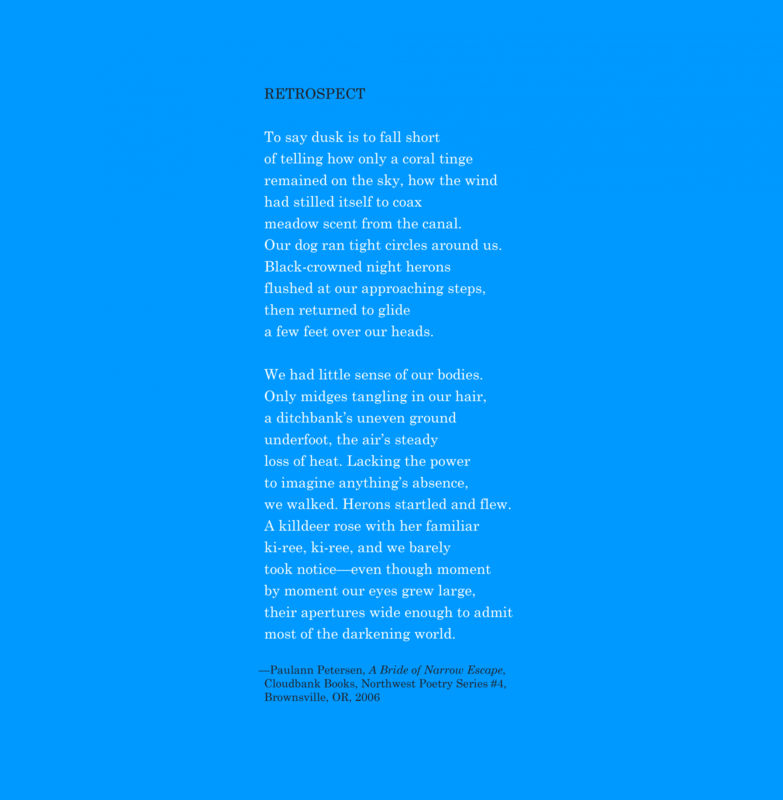 The wind is blowing strongly, but the sky is cobalt blue, cloudless in every direction. “I can see the whole basin from up here, the whole marriage,” says Noonan. To the northwest, the land rises in elevation to the Upper Klamath Lake, the source of most of the area’s water. The Klamath River winds off to the southwest, and farther south, Mt. Shasta pokes up. The man-made canals and aqueducts that carry water to farmland trickle down the landscape like veins. The area around Tule Lake is a verdant, patchwork of green farms. The Lower Klamath is bleached blonde. On Sheepy Ridge, you can see the whole Lower Klamath Refuge, which is still bone dry in October. Deep underneath the ridge, a 6,000-foot tunnel carries surplus water, pumped up sixty feet in elevation, from Tule Lake to the Lower Klamath. The tunnel was built in 1941 and the pump in 1942 as a direct response to poor bird habitat in the Lower Klamath, which was starved of water and increasingly alkaline. But today, what had been a great technological fix for wildlife is not doing its job. Most years, the tunnel carries no or insignificant water. A critical reason is the cost of energy to pump the water. In the past ten years, energy costs have skyrocketed due to the conclusion of a fifty-year low-cost contract with Pacific Power, which operates four aging (and now doomed) hydroelectric dams on the Klamath River. Cole estimates prices have increased twenty-five fold. The result is that even when there is water, the steep cost of getting it through Sheepy Ridge stands in the way. Between 2009 and 2011, water pumped to Lower Klamath was down 80 percent from the twenty-year average. His view of wrestling seeps into his approach to business. He envisions every problem as an opportunity to wrangle, and often finds his solutions through friendships made with fellow parents of wrestlers. Case in point: Bob Buckner, who runs a water well drilling company and first encountered Noonan at a meet. Buckner and Noonan tapped a well on Noonan’s property, but the water was warm rather than hot. Buckner introduced him to French company Technip, which has created a unique ammonia-water binary cycle to generate energy from geothermal sites across a range of temperatures, rather than the traditional steaming hot water, when the water volume is high. It turns out that U.S. Fish and Wildlife employees on the Lower Klamath Refuge had dug wells during the 2001 water shutoff in an effort to supply water for birds and found the water to be between 140 and 190 degrees. Useless for the birds, but water that is perfect for a Technip plant. Noonan has since received a $1.75 million Department of Energy grant to build two ten-megawatt geothermal energy plants on either side of the refuge, one to subsidize the cost of pumping water through Sheepy Ridge, and the other for pumping water out of the refuge to the Klamath River. These would be the first geothermal plants of this sort to operate outside of Germany, Japan, and Iceland. One of the two sites is a historic Indian burial ground, but Noonan and Cole were quick to involve the Klamath Tribes, who welcomed the invitation to participate in the process and have supported the renewable energy project. Noonan received a $1.75 million Department of Energy grant to build two ten-megawatt geothermal energy plants on either side of the refuge. Noonan plans to utilize two geothermal plants to subsidize the cost of pumping water through Sheepy Ridge to the Lower Klamath Refuge and for pumping water out of the refuge to the Klamath River. Noonan has purchased land on which a geothermal well with derelict infrastructure stands. Construction on the geothermal plants remains stalled as Noonan seeks a power buyer. These small geothermal units not only represent the potential to get water into the refuge, where it can be stored, filtered, and brought back into the Klamath River to augment flow. They also have the potential to showcase new technology that could allow people to tap geothermal reserves in their own backyards and farms throughout this landscape, which is rich in geothermal resources — so rich that the city of Klamath Falls uses geothermal energy underneath downtown sidewalks and bridges to keep the ground ice-free in the winter. Despite designations naming the Klamath a geothermal treasure trove, the region’s potential has not been tapped, in large part because of high upfront costs. As he drives back to his headquarters, Noonan points up at high-voltage power lines. “That’s what I’m looking for!” he exclaims. The nearby power lines will make it easy for these geothermal plants to immediately connect to the grid. Noonan is dreaming of opening an array of geothermal power sites around the southern Oregon basin. But so far, the geothermal plants are another maybe in this landscape of unknowns. This June, a few months after meeting with a power company in Portland, Noonan, who had anticipated opening the first geothermal plant in 2013, said he thought optimistically they would find a power company to buy the electricity and have the plants built by 2020. The usual pep in his voice has dimmed. He’s been better at getting other people excited about his ideas — including the Department of Energy and U.S. 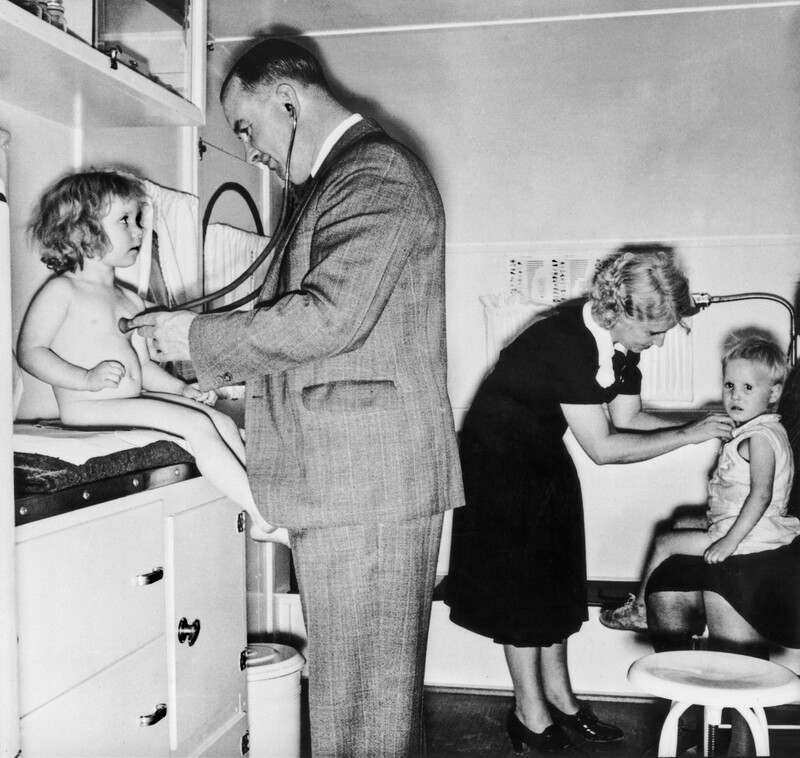 Senator Jeff Merkley — than he has been at selling kilowatts. Meanwhile, trouble has been brewing elsewhere. 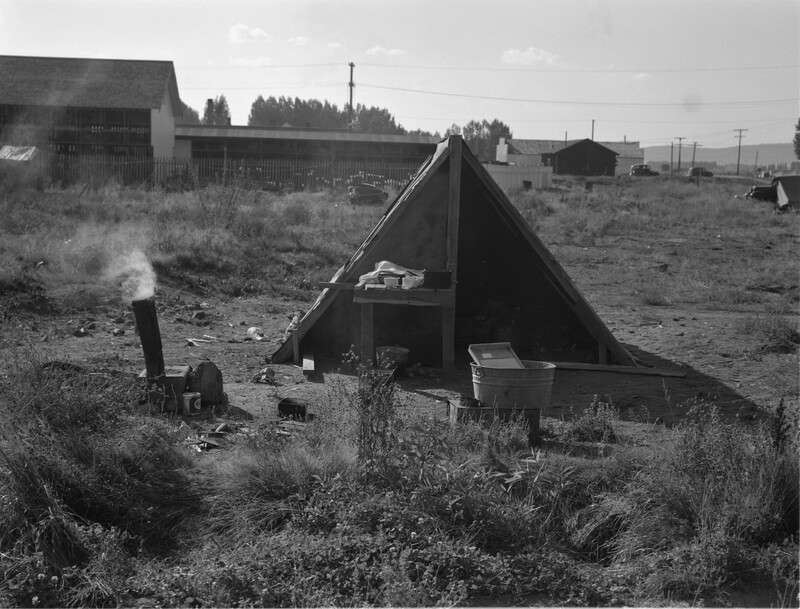 In 2012, Noonan ventured into a lease in the Tule Lake basin in California. He believed he was leasing organic farmland that had not been sprayed in several years. But upon going to sell his crop, he learned the land had been sprayed and he couldn’t sell his potatoes on the organic market. Unlike the majority of farmers participating in the walking wetlands program, who have income streams from both conventional and organic produce, Noonan only sells organic. Historically, he’s been outspoken about his desire to see organic products proliferate in the basin. He ended up donating 50,000 pounds of potatoes to the local food bank and 275,000 pounds of potatoes to the Oregon Food Bank and taking an enormous financial loss. “I trust everyone, and it’s a blessing, but it’s also a curse,” he says wistfully. Noonan’s field on Lake Ewauna near the city of Klamath Falls. In early March 2014, he filed a lawsuit against his competitors seeking $7 million in damages for spreading false rumors about his practices. It turns out that the mix-up in California led the Oregon Department of Agriculture to send a letter on November 2, 2012 to two big customers that asserted, “all product from Mike Noonan Farms or Noonan Farms should not be considered organic.” A week later, the department sent out a follow-up letter stating, “please disregard the letter issued November 2, 2012 . . . [Noonan Farms is] eligible to sell product as organic.” The suit claims that his competitors took advantage of the mistake and continued to tell organic brokers and buyers that Noonan’s product wasn’t to be trusted as organic. “It’s a changing time within our basin,” Noonan says. “Everyone is trying to figure out how to position themselves for the future.” The lawsuit remains unsettled. His neighbor Teresa Penhall, who raises grass-fed animals and teaches cooking classes, says, “The local community is hard on Mike.” Noonan is a relative newcomer who not only grew his operation very rapidly but also holds strong ideas that sometimes run counter to the prevailing winds, Penhall explains. While many of the Klamath Basin’s longtime farming families socialize with each other, when Penhall visited Noonan for Christmas, she realized that he has surrounded himself with a completely different community. They are, of course, wrestling lovers. On April 23, 2014, Noonan Farms filed for Chapter 11 bankruptcy, known as “reorganizing” under bankruptcy laws. That means that Noonan will continue to operate the business, while proposing a reorganization plan to keep the business alive and pay creditors. What really sunk him into financial insolvency? 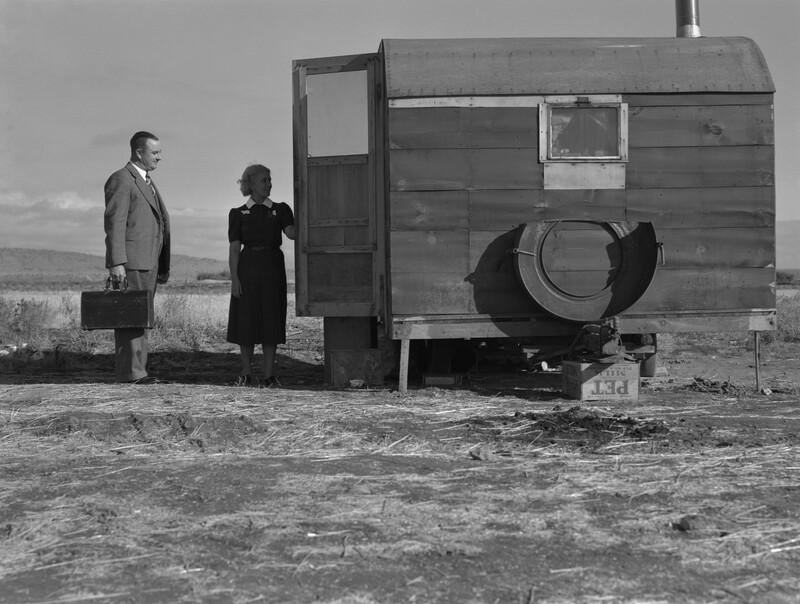 The Tule Lake situation? His own hunger to do everything, including his recent purchase of geothermal greenhouses? Simply not having enough pounds or bushels per acre? Wading into the renewable energy field? A little bit of everything? Noonan won’t say specifically. It’s unclear what will happen with Noonan Farms — whether it will continue its ecosystem-based farming and become a national leader in small-scale geothermal energy, or become something altogether different. 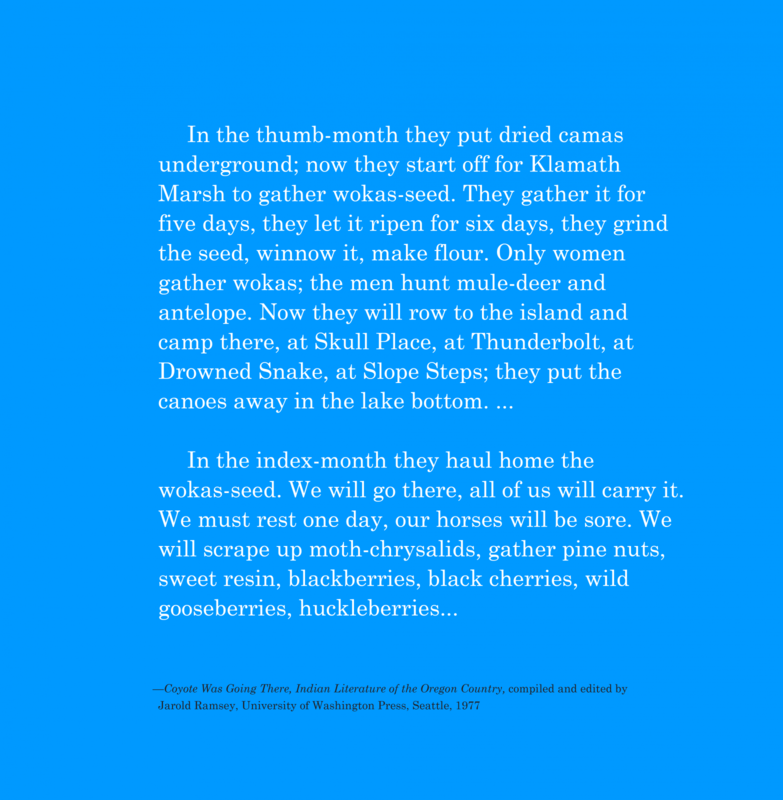 The Klamath Basin continues to be a place where human and political challenges, intertwined with the dynamics of the landscape, are as vexing as any scientific problem. They are, perhaps, not as easy to untangle as Noonan has believed. But Noonan’s actions have set others in motion. He designs things for others to carry forward. That may be the best route to realize the change he seeks in Klamath country. 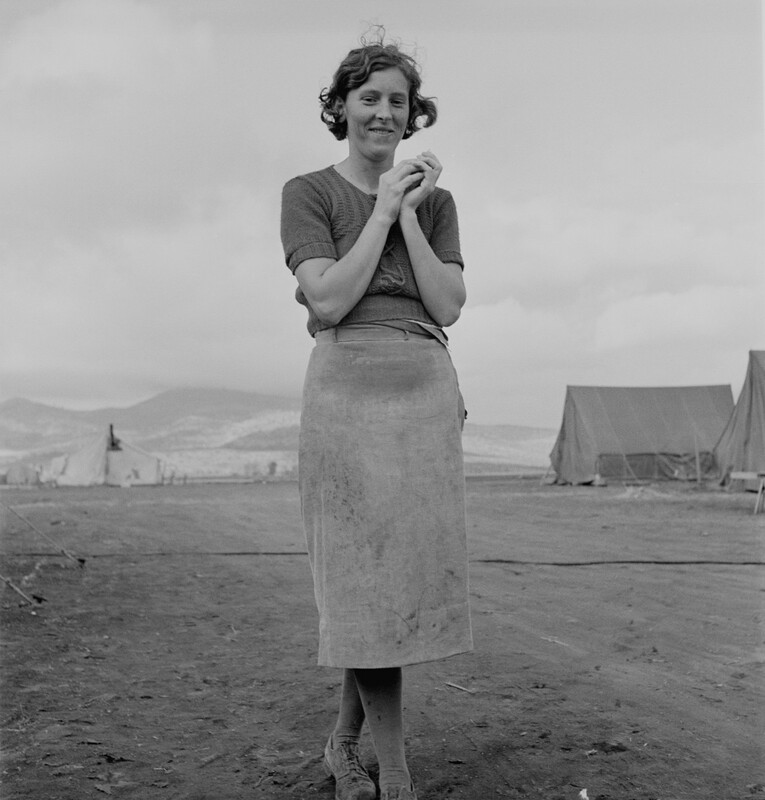 Lola Milholland writes and produces media and events exploring food and cultural history. She works at Ecotrust and is assistant editor of Edible Portland and contributing editor to Commonplace. Her writing has appeared in Edible Portland, meatpaper, and Gastronomica, and she produces the podcast, Underground Airwaves. Sheepy Ridge footage and Mike Noonan audio by Lola Milholland. 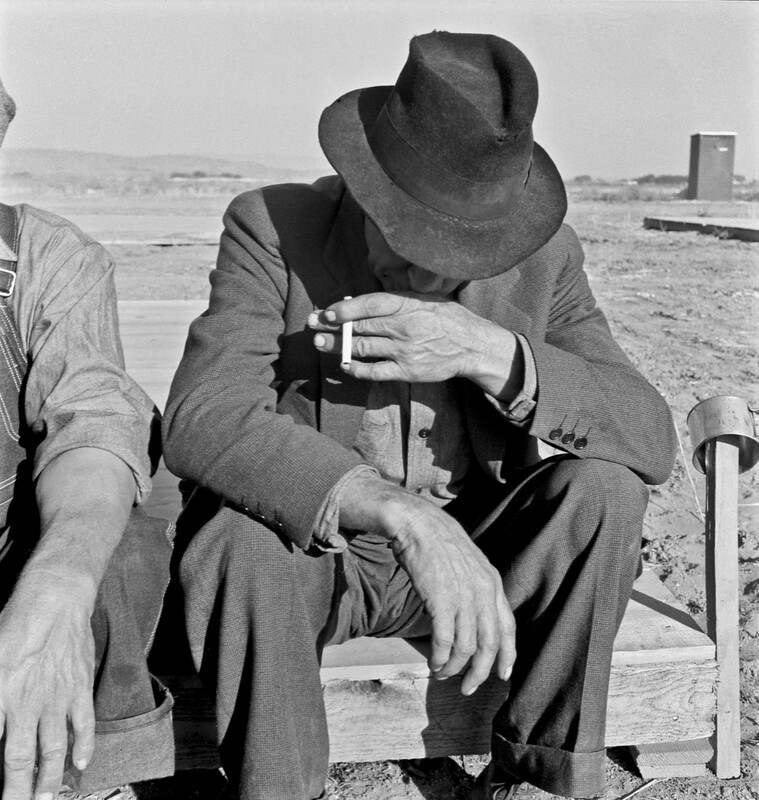 Sidebar quotes and Dorothea Lange photos courtesy of David Milholland, Oregon Cultural Heritage Commission. Nolan Calisch is an artist, photographer, and farmer living in Portland, Oregon. Since 2008, he has co-run Wealth Underground Farm, a diversified organic farm that grows food for thirty families through a Community-Supported Agriculture program (CSA). Calisch is currently working on a variety of collaborative and individual documentary projects both in the U.S. and abroad.